The new Kay Scarpetta novel from the world's #1 bestselling crime writer. "When it comes to the forensic sciences, nobody can touch Cornwell." 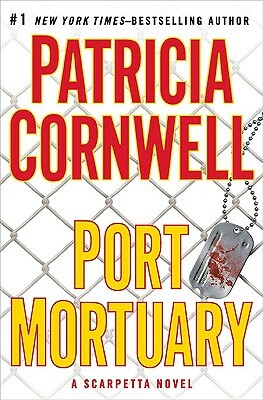 "Port Mortuary," the title of Patricia Cornwell's eighteenth Scarpetta novel, is literally a port for the dead. In this fast-paced story, a treacherous path from Scarpetta's past merges with the high- tech highway she now finds herself on. We travel back to the beginning of her professional career, when she accepted a scholarship from the Air Force to pay off her medical school debt. Now, more than twenty years and many career successes later, her secret military ties have drawn her to Dover Air Force Base, where she has been immersed in a training fellowship.